I’ve written before (in Zoot Suits) about my love affair with the blues in the early 60s, listening to Mike Raven’s show on Radio 390, in the bedroom I shared with my sister, trying to catch the names of the musicians as the reception on my transistor radio faded in and out. It was here I learned the names Peetie Wheatstraw and Sleepy John Estes, although I didn’t know what they played or where they were from. The names rolled round in my head, as romantic as the music that rolled off the Radio 390 turntables. The only other person I knew who liked blues as much as I did was my mate Corinne at school (long leather navy coat, fabulous swinging Cathy McGowan hair cut, total mod). We used to meet at break on Thursday morning and over her snack of Ryvita and cheese (generously shared) we would discuss the music we’d heard the night before. If only I had known that there was a magazine which would have given me the information to make those discussions even richer and more informed. 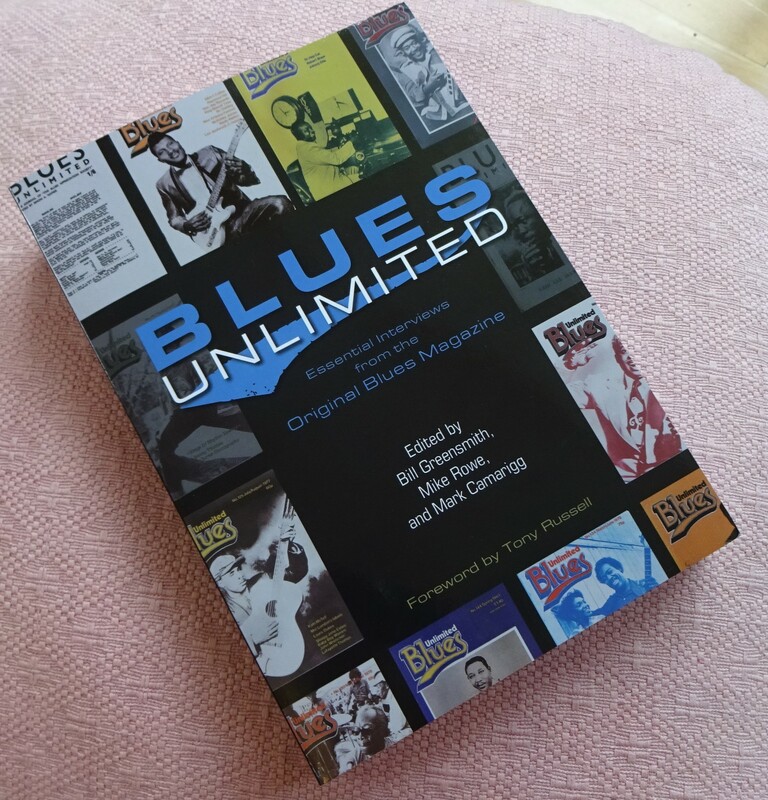 Blues Unlimited was started in 1963 by two blokes from Bexhill-on-Sea, Simon Napier and Mike Leadbitter. Issue number one contained articles on Little Junior Parker and Jay Miller, a discography of the Staple Singers (I’ll Take You There) and a request for help in compiling label lists of Sun, Bullet and Hollywood. The magazine pages were typed on stencils and printed on a Roneo-type machine, and then stapled together – all by hand. The first edition run of 180 copies sold out quickly. By July 1964 the print run was 1000. Contributions came from Europe and the US, articles, interviews, reviews and information. ‘Cajun Corner’ began, a feature on Howlin’ Wolf starred in Issue 3 and the first major piece on Elmore James appeared in Issue 5. 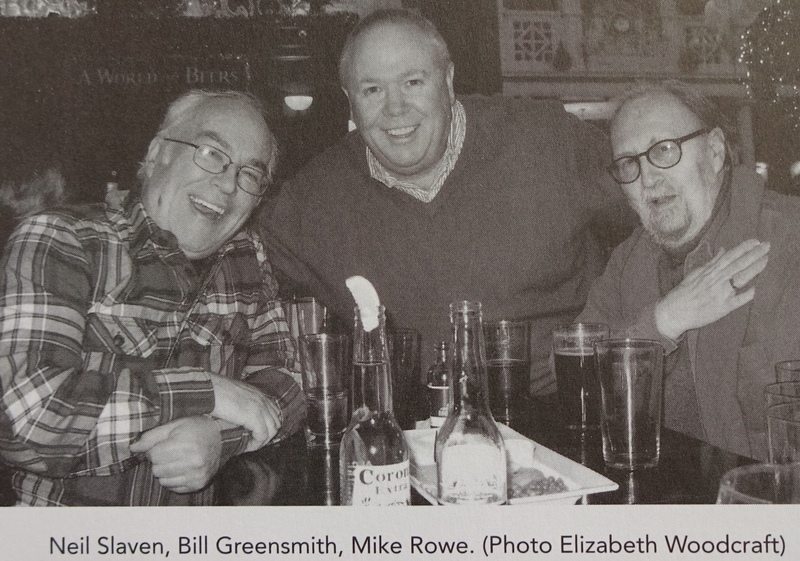 In the 70s the editorial staff changed to include Mike Rowe, Neil Slaven and Bill Greensmith. Working on the solid foundations provided by Napier and Leadbitter, the magazine now gave photos a greater importance, a letters page was introduced, and new research was done and information unearthed. Interviews became longer and more detailed. In 1987, ‘beset by numerous problems’, the last edition was published. But now Mike Rowe and Bill Greensmith along with Mark Camarigg, have edited a new book ‘Blues Unlimited.’ Published by University of Illinois Press, and with a foreword by Tony Russell, it gives you exactly what it says on the cover, ‘Essential interviews from the Original Blues Magazine.’ The book is a treasure trove of articles, pictures and interviews. From Detroit Baby Boy Warren, from Mississippi Arthur ‘Big Boy’ Crudup, from Chicago Freddie King and Red Holloway. And Peetie Wheatstraw and Sleepy John Estes are in there too. In the early 80s I was at a dinner party which included one Val Wilmer, who I knew was a great jazzer, a photographer and writer, but who I had never met before. In an attempt to ingratiate myself with her I casually brought Peetie Wheatstraw and Sleepy John Estes into the conversation – as you do, hoping she wouldn’t ask me for further and better particulars, since I was still unaware of the existence of Blues Unlimited and had no more information abut them than I’d had when I was in 4L at Chelmsford County High. Val was very kind and did not quiz me on the exact nature of my knowledge and we became friends. So much so that when in 1987 I went to the States for two months she gave me the contact details of Bill Greensmith in St Louis. I rang him and ended up going to stay with him and his lovely wife, Stella. I had never met anyone who had a working juke box in their home. Bill was a great host and took me to hear music in East St Louis, as well as giving me a tour of the town, and showing me where exactly Ike and Tina Turner had started their musical collaboration. Val had also given me a package to deliver to Fontella Bass who lived in St Louis, Fontella Bass whose record ‘Rescue Me’ in 1965, constantly on the juke box in the Orpheus, was the theme tune to one of my more painful heartbreaks. Twenty two years later, I took the bus from central St Louis, I walked down the street and I knocked on her door. People I sat in Fontella Bass’ living room. And I returned the package. Unfortunately Fontella herself wasn’t there. Bad timing. An interview with Fontella Bass appears on page 291. I would have mentioned the book anyway, because I know that for Bill and the other two editors -Mike Rowe and Mark Camarigg – this has been a real labour of love. It’s beautifully produced and it’s an absolute treat for anyone who is interested in the music. But – I do have an even more personal relationship to the book. One Saturday afternoon, a few years ago, Bill was back in London, seeing old pals, and we arranged to meet up in a pub near Liverpool Street. Two of the pals in the pub were Neil Slaven and Mike Rowe. And I took a picture of them. It’s in the book. How cool is that? Wow. I love how this circles right around. Riveting.